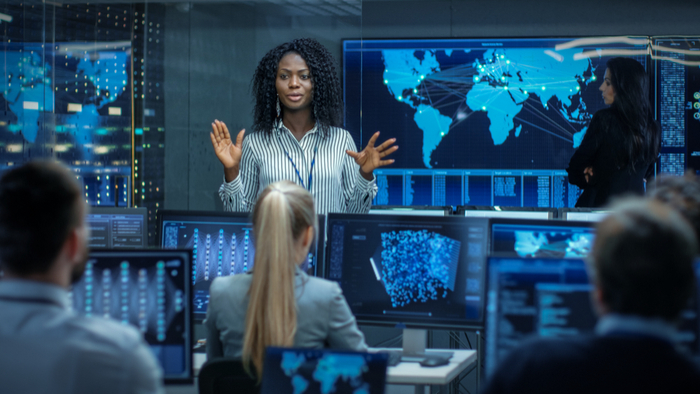 • This research from Pivotal Ventures and McKinsey & Company highlights the previous successes and failures of tech companies attempting to diversify their workforce, and how philanthropy and CSR can work to effectively improve tech workforce diversity going forward. • How can companies begin to assess their own workforce diversity? What ambitious and attainable goals should companies be working toward? • Learn how some companies are tracking workforce diversity and inclusion. It is hardly news that women—and particularly women of color—are chronically underrepresented in the US tech sector. Perhaps more alarming is that the trend is headed in the wrong direction. The percentage of computing roles women hold has largely declined in the United States over the past 25 years. Unless we take action, the trajectory is unlikely to change. The situation is even more grave for underrepresented women of color: black, Latina, and Native American women. Despite accounting for approximately 16 percent of the general population, these women of color only hold around 4 percent of roles in the computing workforce, and are almost completely absent at the senior leadership level, with zero black or Latina women CEOs of Fortune 500 tech companies. While men of color are also largely excluded from tech, they participate at almost three times the rate of women of color. This lack of gender diversity carries with it a major opportunity cost, both for individual tech companies and the entire sector. The share of black, Latina, and Native American women receiving computing degrees has dropped by one-third over the past decade, from 6 percent to 4 percent. If this trend continues, the number of underrepresented women of color receiving computing degrees will not double over today’s numbers until 2052—by which time they will represent a vanishingly small proportion of all graduates. Tech companies have been primarily focused on using their HR and diversity and inclusion (D&I) functions to improve their recruitment, retention, and advancement of women. While these efforts have been complemented by philanthropy and corporate social responsibility (CSR) initiatives focused on building the gender diversity of the overall talent pipeline, these external efforts are needed at a much greater scale. Fortunately, there is not a major drop-off in women’s representation in tech in the transition between college and the workforce, suggesting that recruitment into the sector is working effectively. However, given the small share of computer and information sciences degrees held by women (19 percent), and especially underrepresented women of color (4 percent), these recruitment efforts will not expand the talent pool, meaning women’s overall low levels of representation will not change. As such, tech companies’ strategies need to evolve, increasing their focus on growing the number of women and girls pursuing computing education in the first place. CSR and philanthropy efforts are a unique lever because they allow companies to work with communities to involve women and girls in tech at various stages of their educational journey. Such efforts include financial contributions to non-profit organizations, in-kind contributions of employee time and expertise, convenings and public awareness campaigns, and sponsored research. Using CSR and philanthropy to actively shape the larger tech talent environment today will enable tech companies to expand the talent pool they will hire from tomorrow. A few critical best practices emerged from this research. Tech companies can draw on them in the design of their own programs and when engaging with organizations they fund or partner with. Focus on women and girls. Solve for those facing the most barriers— underrepresented women and girls of color. It is never too late; consider multiple on-ramps. If tech companies can successfully create pathways for women and girls—particularly the most marginalized women of color who face the greatest number of barriers—to pursue careers in technology, the industry will benefit from a much broader talent pool and realize new economic opportunities.